Over the weekend, I saw Need for Speed. Typically, movies based on video games turn out to be a mess, mostly because the cast and crew try to strike a balance between being faithful to the source material, while also trying to make it open to wider audiences who generally have no idea about the game it’s based on. For example, the last movie I saw based on a video game was Prince of Persia back in 2010, and as far as I remember, there were no ostrich races in the 2003 game. But as I sat in the theater as the credits rolled for Need for Speed, I wondered: What is the spirit of Need for Speed? Since Road & Track Presents: The Need for Speed released in 1994, what is the thing that all Need for Speed games have? They have exotic cars and police chases. 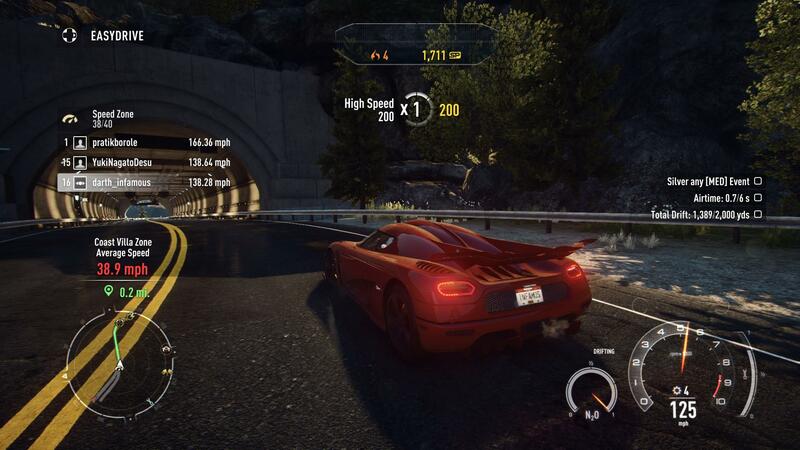 With the exception of a few games, every Need for Speed game has a variety of exotic cars including Porsches, Vipers, Ferraris, Lamborghinis, McLarens, and Bugattis. The Need for Speed movie has exotic cars by the boatload, half of which I couldn’t pronounce. The last race is like an exotic car dream list, showing off the Lamborghini Sesto Elemento, Koenigsegg Agera R, Bugatti Veyron, GTA Spano, and the McLaren P1. From that angle, Need for Speed is one of the few car movies to feature exotic cars, not vintage muscle cars or tuner cars. And while not every game has them, the latest tent pole of Need for Speed is cops. First introduced in Need for Speed III: Hot Pursuit, almost every Need for Speed game in the last five years has featured some kind of police-chase element, and so too does the Need for Speed movie. Unfortunately, there are no police versions of any of the exotic cars. You won’t see police driving Lamborghinis and Ferraris to chase racers. They do mention spike strips and roadblocks, small references to the police mechanics particularly in Need for Speed: Hot Pursuit. Need for Speed, in a sense, is exactly what it needs to be. Going in, I wasn’t exactly sure what I was expecting, but as I sat there, watching the credits roll, realizing Need for Speed is about fast exotic cars and police chases, I felt satisfied. Whether it was good or bad, I couldn’t tell you. Are the Fast and Furious movies good or bad? Does it matter? Need for Speed feels like a less playful, more serious Fast and Furious, but with exotic cars instead of muscle or tuner cars, and police chases. It’s based on a game series, but about the closest thing it takes from those games I could point at is the second act where the main characters have to get from New York to California in 45 hours, which is almost exactly the same plot for Need for Speed The Run. It felt restrained, as if it could have gone over-the-top, but decided not to. Need for Speed, though, as a video game movie, took exactly as much of the video game it’s based on it needed, and left the rest behind.